One of my favorite things to do when traveling is to hit the pavement and explore the nooks and crannies of a city. Finding uniquely cool areas and instagrammable spots makes my heart so happy! 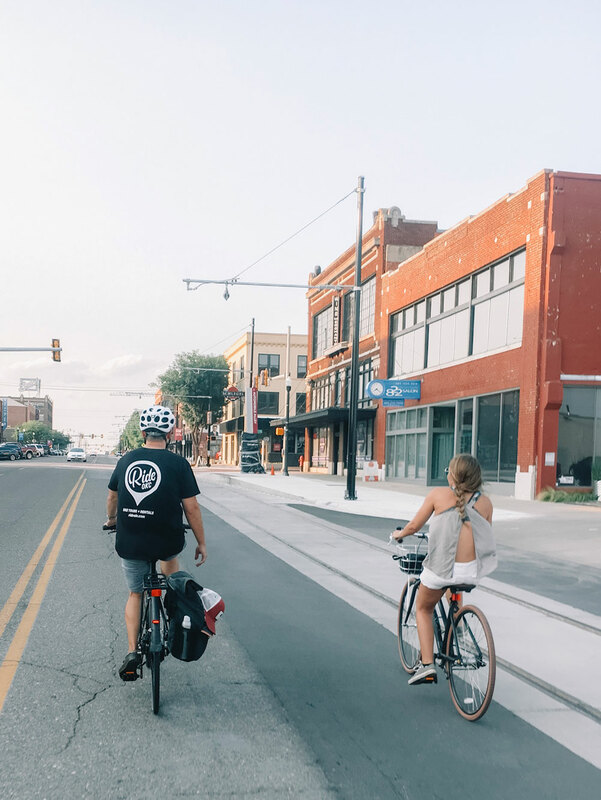 I got to do just that and play tourist in my own city last weekend during Ride OKC's Bike and Brews Tour. It was such a fun experience - I just had to share. 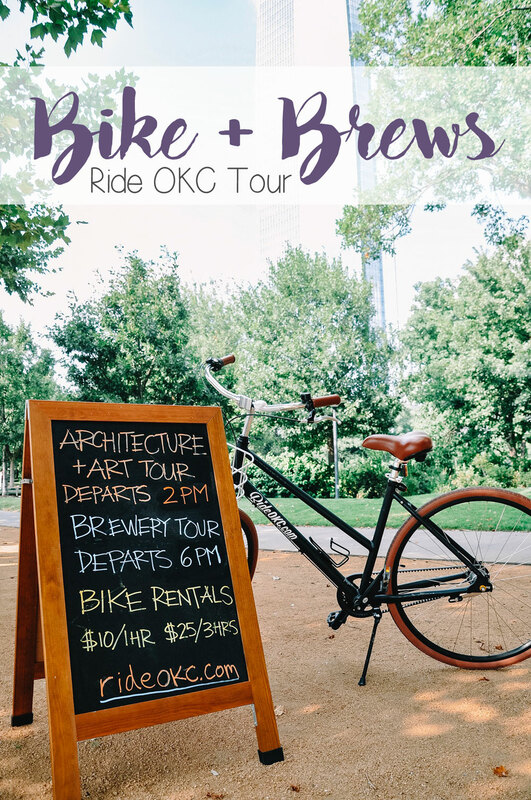 The Bike and Brews tour starts at Myriad Gardens and winds you through downtown Oklahoma City stopping at five of the local craft breweries on the way. 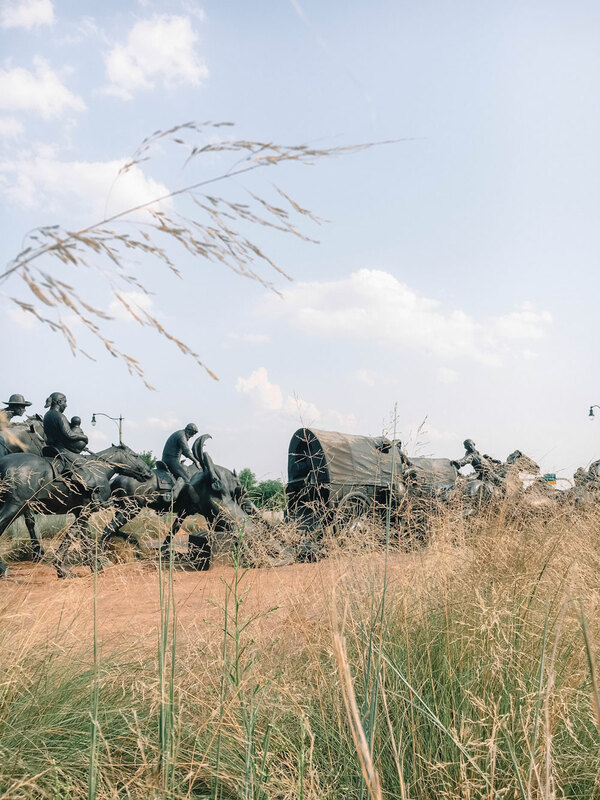 Between breweries, you see unique street art, historic buildings, modern architecture and Oklahoma City's best attractions and local districts. 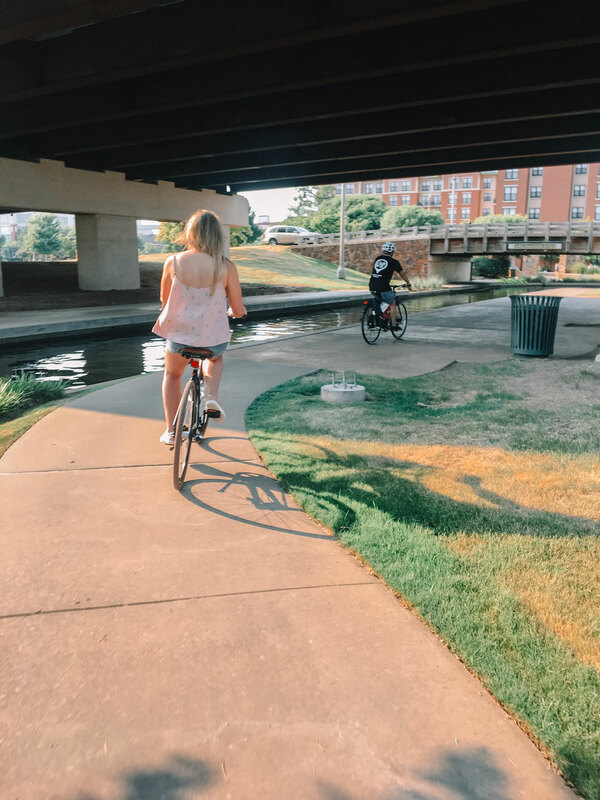 According to Ride OKC, the goal is to show off the main attractions of the city along with hidden gems and local favorites. Being a local myself, I concur! I discovered several new gems I didn't know existed while riding through some of my favorite areas of town. 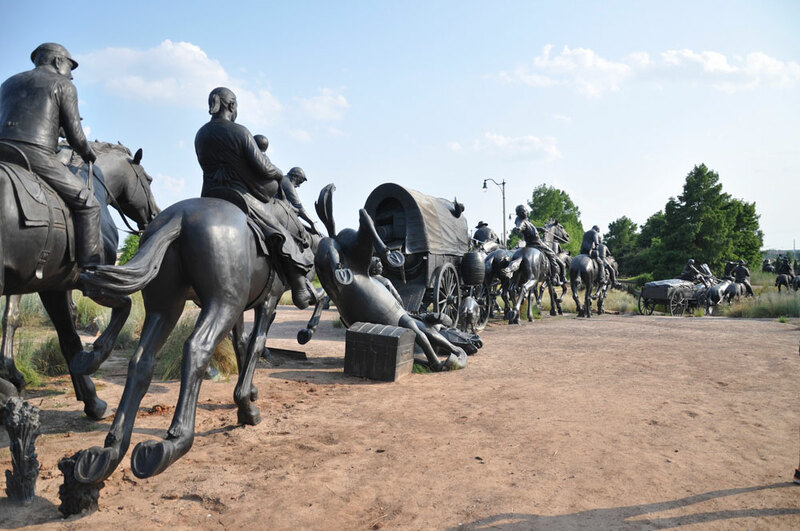 I had no clue that the Centennial Land Run Monument existed! It is kind of hidden off the Bricktown Canal. It is one of the world's largest bronze sculptures! 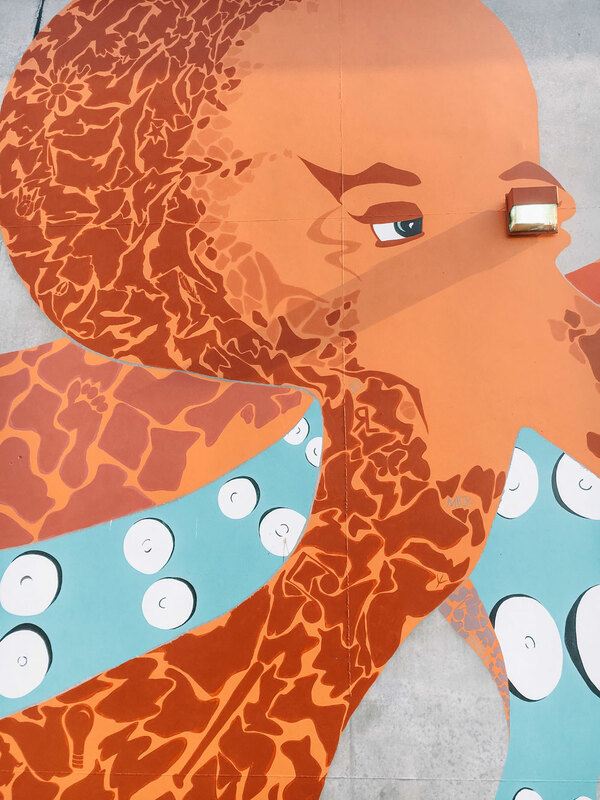 This Octopus mural is another hidden gem that I didn't know about! It covers the entire side of a building and has a ton of hidden pictures inside of the artwork. Can you spot a few in this shot? I could stare at the mural all day and keep finding new Easter eggs. 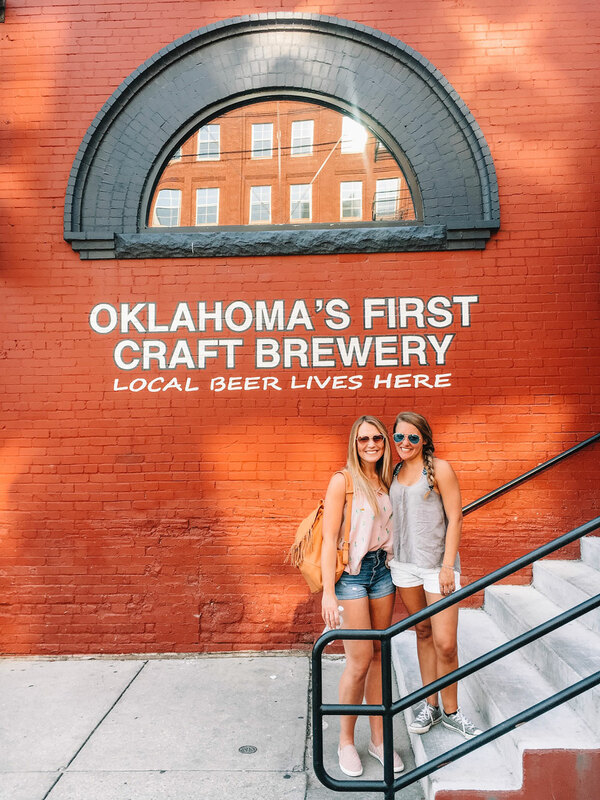 The first brewery we stopped at was Bricktown Brewery - Oklahoma's first craft brewery! We were able to do a full tasting of their six beers on tap. The stout was my favorite (no surprise there) but the Old King Kolsch and Bluesberry Ale were my runners up! 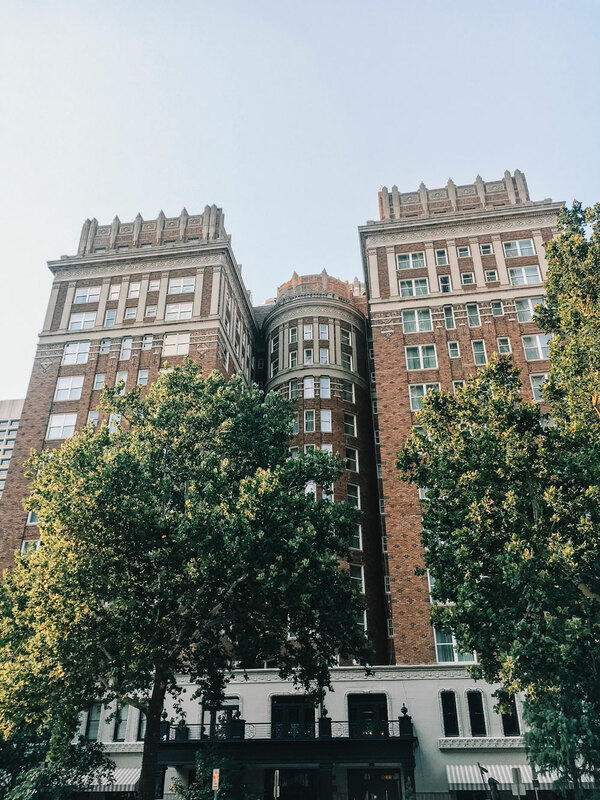 We rode past the Skirvin Hotel, one of the most historic buildings in downtown OKC, and of course talked about how it is haunted! I already knew the story of Effie, but it is always fun to hear it again. I have stayed and the Skirvin and never experienced her haunting, but people swear she is real. We also rode past the OKC National Memorial and Museum and talked about Oklahoma City's most tragic day. It always amazes me that the OKC bombing was the largest terror attack on U.S. soil before 9/11. It is a solemn place, but a beautiful one. 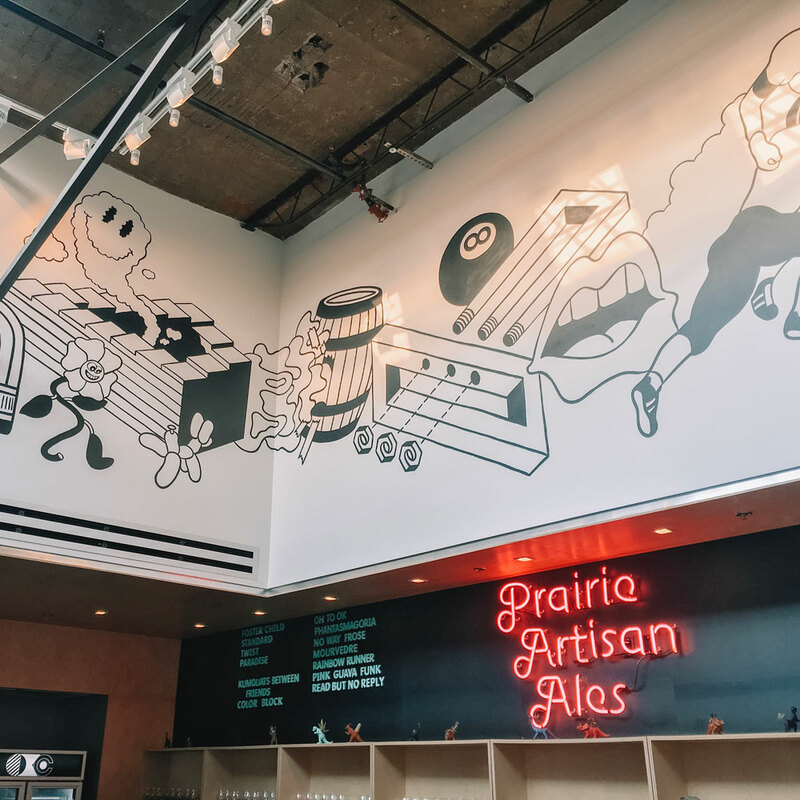 Our next beer stop was at Prairie! It is ranked as one of the top breweries in the world. 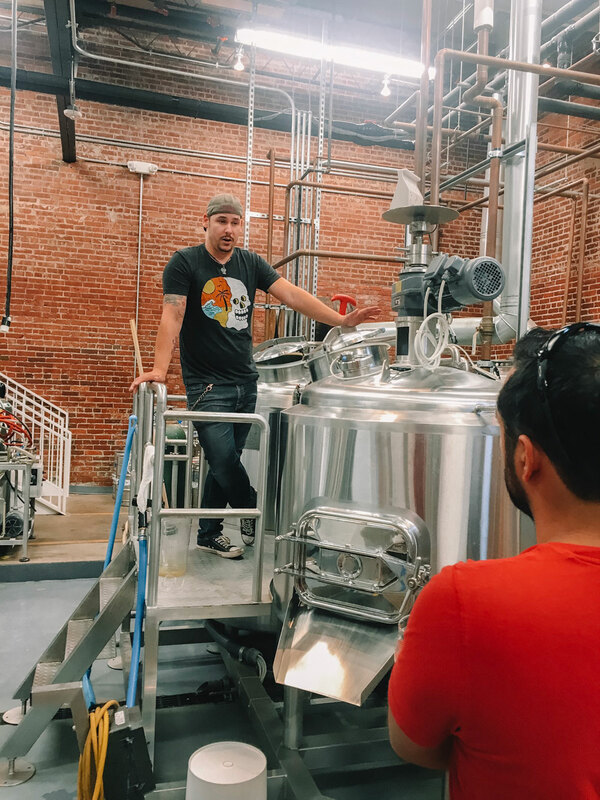 We were able to talk with one of their brewers who shared a ton of cool facts. 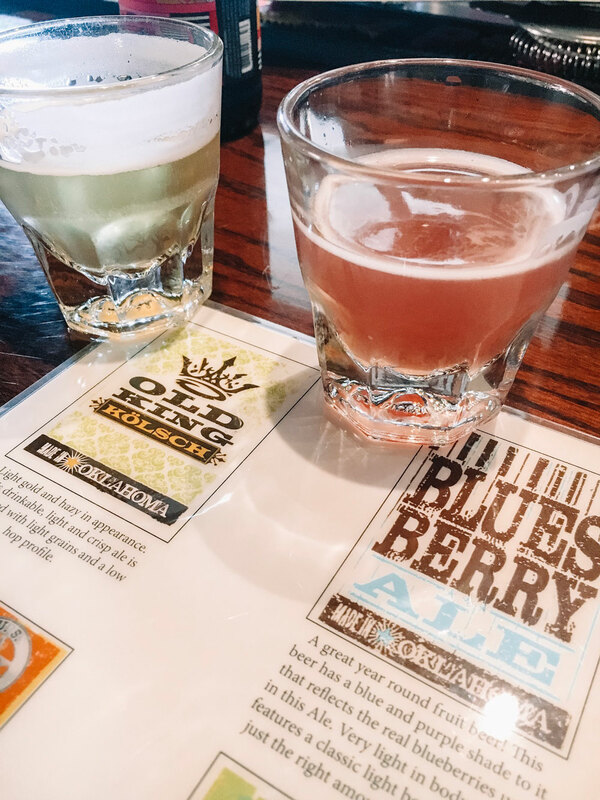 I thought it was interesting they only use fresh ingredients, never syrups or flavorings (think: buying all the watermelons available in OKC's local grocery stores for their watermelon gose). I got the Guava Funk specialty sour, but I definitely want to go back to Prairie and sample some more of their brews! Next, we stopped at Twisted Spike which was just a few blocks over. This is probably my favorite brewery in town! Much to my delight, they were having a "Christmas in July" special and they had their Christmas beer on tap....it is my favorite beer they have ever done (maybe one of my favorite beers ever?) so I was in heaven! 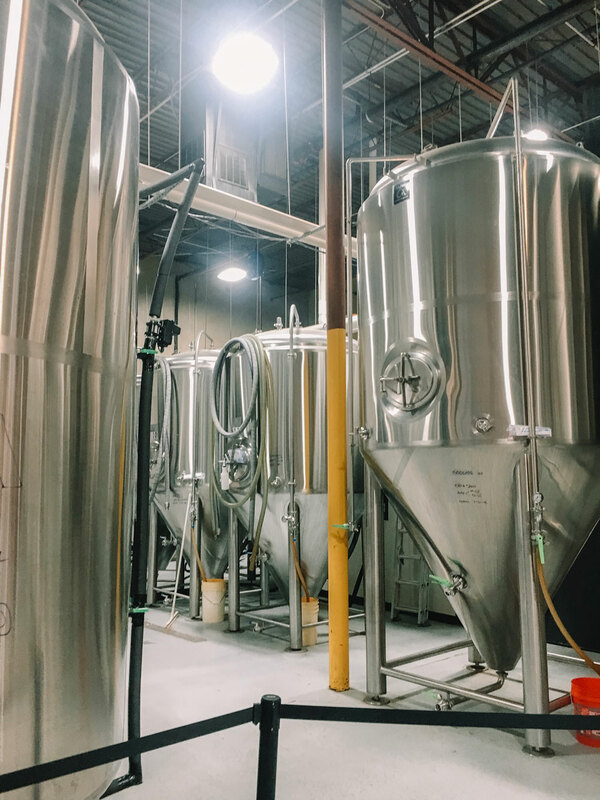 After cruising through Automobile Alley and Midtown, we rode through SoSa to check out some unique architecture and eventually made our way to Stonecloud Brewing Co. It was their first birthday celebration so they were pretty packed. I got a rum barrel stout that was good, but it was a little too hot outside to appreciate it. 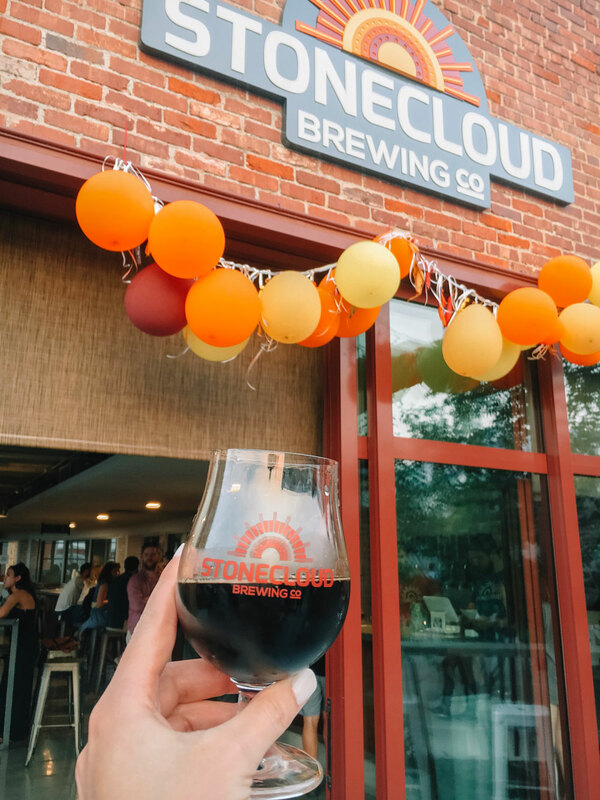 I've been to Stonecloud before, though, and always enjoyed the Turtle Head stout. 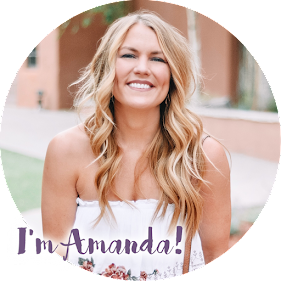 Plus, they often have Kombucha and Cold Brew on tap which I love! Last but not least, we ended the night at Anthem. I'm a sucker for their Uroboros Stout, even though I can't pronounce it. 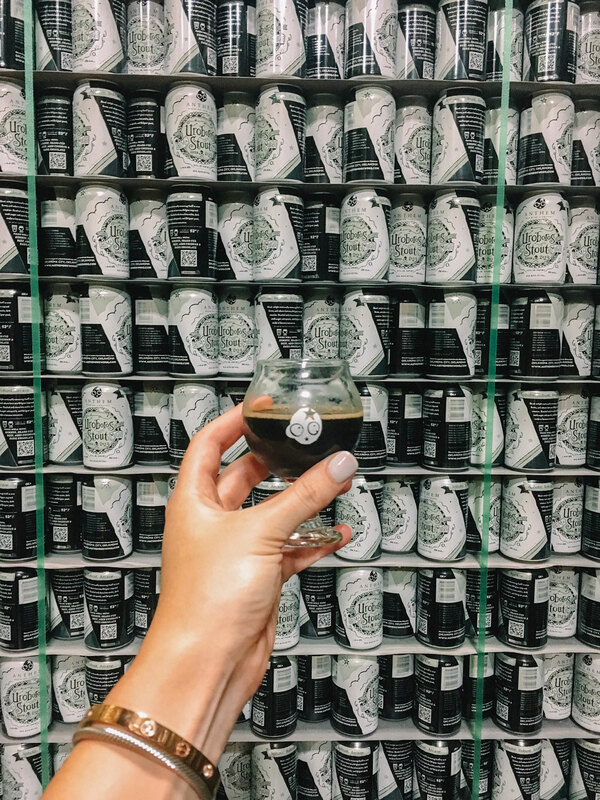 We were able to go in the back room and see cases on cases of beer - it made for the perfect Instagram photo-op. Ride OKC is owned by Ryan and Ashley (who are actually getting married this Saturday, congrats, guys!! ); they started the business because their favorite way to explore a city when on vacation was by riding bikes. It allows you to see so much more from a different perspective, discover the lay of the land quickly, and have fun while doing so. 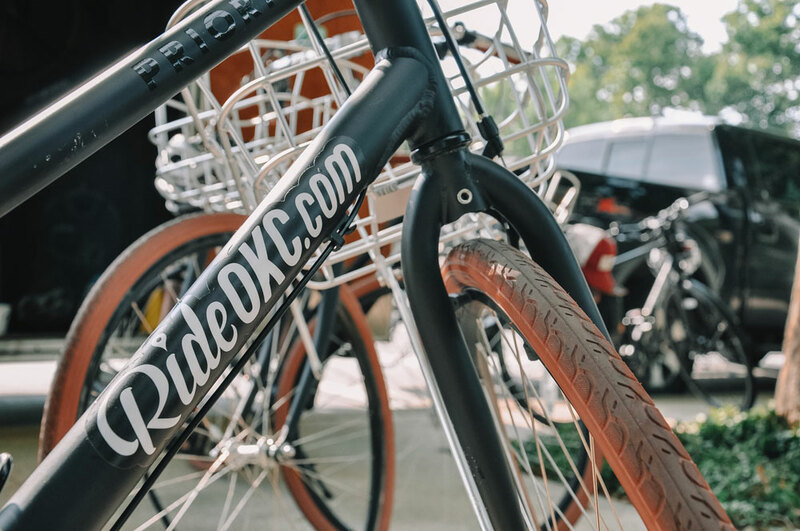 They wanted to offer that same experience in their own city, so Ride OKC was born! They combine their passions and professions into their work and it really shines through on their tours. I thought Ryan and Ashley were super knowledgable, so friendly, and genuinely fun to be around. 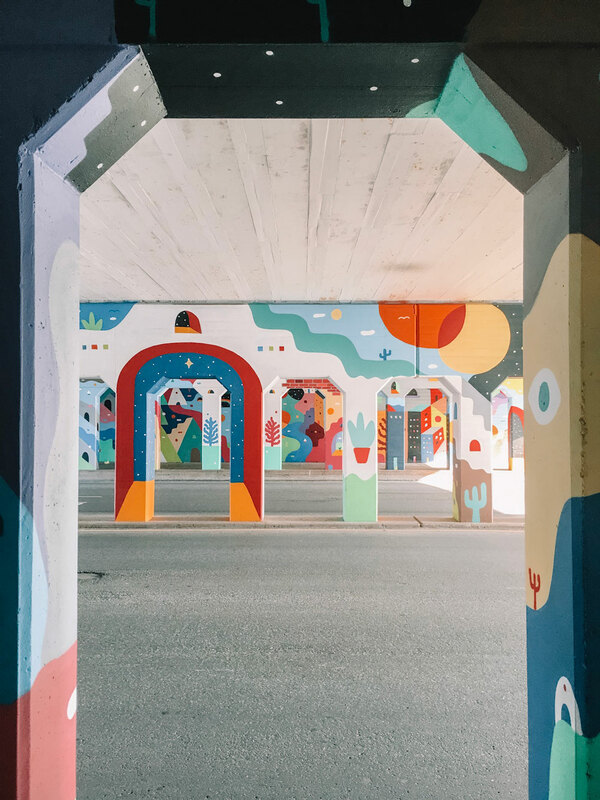 In addition to the Bike & Brews tour, they also offer a Cookie Tour (totally signing up for that one, hello Cookie Monster), an Art + Architecture Tour and custom tours. Word on the street is that a Pizza Tour and a Christmas Light Tour are in the works. You bet your bottom dollar C and I will be participating in the Christmas tour, especially if Katiebug's Hot Chocolate is involved! I am the Christmas Queen, after all. 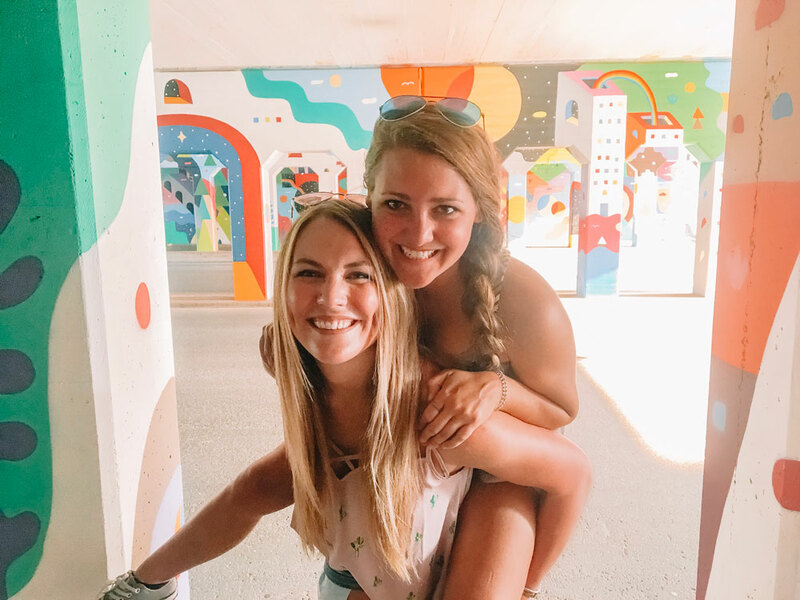 I think Ride OKC is a fantastic option for anyone visiting OKC, for locals who have a friend or family member in town, or for anyone who wants a unique date night or group adventure. I can genuinely say I loved every second of the tour. I came home raving to my husband about how much fun I had and wanting to go back again with him in tow. If you give Ride OKC a try, please tell them I sent you! 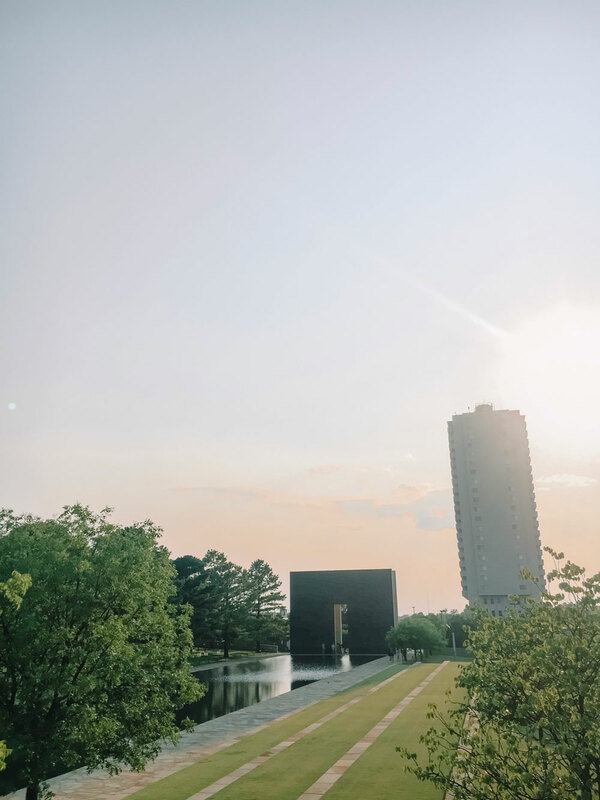 I know you will love it - it is my new favorite way to #SeeOKC. You can even get 20% off if you bring your own bike and use code BYOB2018! If you're not in Oklahoma, check to see what your city has to offer.....you never know what fun can be had in your own backyard. Or better yet, come to visit! OKC is my favorite place to be. Thank you Ride OKC for hosting me on the Bike and Brews Tour! Though I was able to tour for free in exchange for this post, all thoughts and opinions are my own.